- Paypal Cash will be delivered by Angie. All other prizes will be delivered by the contributing Bloggers. Hello Angie! 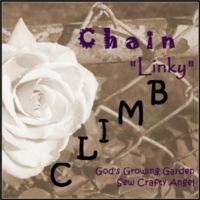 Thank you for hosting the 'Chain Linky Climb'! Have a fabulous day!